In 1948, the San Diego Community Theater’s Junior Theater Workshop was established at the suggestion of its resident director, Craig Noel. The next year, his collaboration between San Diego Community Theater and San Diego State College (SDSU) led to the founding of the annual San Diego Shakespeare Festival. JT alumnus Carroll Rice says of the collaboration, “by their agreement, the City of San Diego provided the Globe Theatre in Balboa Park and its facilities; and San Diego State College hired internationally famous Shakespearean director B. Iden Payne to teach one class and direct one play during the summer session. The State also paid the expenses of faculty production personnel and materials.” Assisting Mr. Payne were Hunton D. Sellman and Robert Ford Corrigan of the San Diego State College drama department and Marvyn Harbert, technical director of the Community Theatre. 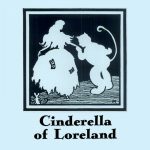 Cinderella of Loreland was San Diego Junior Theatre Workshop’s inaugural production, performed by its students in July, 1949. The show was directed by workshop director Mary Corrigan (Robert’s wife), with assistance from San Diego State College students Marion Ross and Jack Wagar.